As Britain mulls over its nuclear ambitions, Germany has set a solar PV world record, generating an astonishing 22GW of electricity between Friday 25th and Saturday 26th May. Is one of Europe’s biggest energy exporters showing the UK how to utilise renewable energy, or does the world record mask disappointment in the German solar industry? Between midday Friday and Saturday afternoon, much of Europe basked in bright sunshine. In Germany, the pleasant weather had at least one positive effect on the country; it allowed the nation to achieve the 22GW world record. Although 22GW may seem a lot, it was only sufficient to cover around a third of Germany’s electricity needs for Friday. On Saturday, however, solar generation met almost half of the country’s demand for electricity, suggesting that the solar revolution in Germany is on course to partly replace nuclear and fossil fuel sources of energy. Describing the world record, Norbert Allnoch of the Institute of the Renewable Energy Industry, said: “Never before anywhere has a country produced as much photovoltaic electricity”. Germany’s achievement has cast a shadow over those of the UK, which tends to receive less direct sunlight than Germany but has many of the same opportunities to develop its solar industry. The problem is that Britain has been slow to avail of solar photovoltaic technology. In recent years, Feed-In Tariffs (FITs) provided an incentive for hundreds of households in the UK to install solar panels. When FITs were priced at 43p per kWh, households could expect to recover the costs of installing solar panels within five or ten years. Unfortunately, the British Government recently cut solar subsidies to 21p per kWh and a further reduction to 16p per kWh has been scheduled for August. The consequence is that many homes in Britain no longer regard solar panel technology as cost-effective. Herein lies the main difference between Britain and Germany. In the UK, less than 10 percent of renewables are owned domestically; in Germany, individual households or local communities own 65 percent of solar capacity. To rival Germany, Britain would need to encourage increased interest in solar PV technology at the domestic level. Reducing FITs every quarter is unlikely to achieve this. 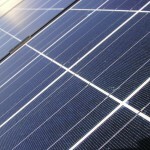 PREVIOUS POST Is the future bright for solar power?